Admit it, when the average consumer thinks of Wisconsin it is probably about artisanal cheeses or maybe a juicy bratwurst! Mounds of snow and frigid air seem incongruous with vineyards. Still, there are approximately 50 wineries in Wisconsin with a handful of pioneers making high quality wine. There are also abundant “roadside wineries” making fruit wine from cherry to cranberry and—brace yourself—lemon. Frustrations abound from the pioneers and newcomers who wish to grow cold climate grapes and make a wine any consumer would appreciate. State leaders are embracing those varieties and encouraging improvements in quality. The Wisconsin Grape Growers Association is relatively new compared to other states’ grower and marketing agencies. 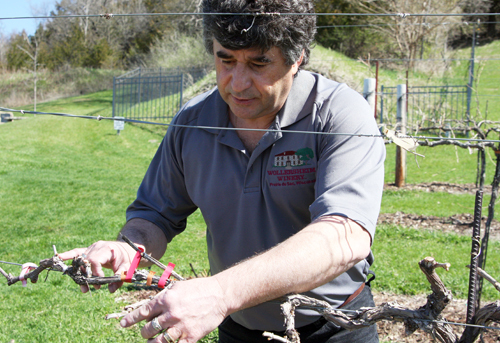 Growers like Coquard and others interviewed hope the association, a new state fair winery competition, and publicity for the state’s efforts create an atmosphere of cooperation and drive for improved quality. A wide variety of grapes can be grown in southern Wisconsin, where there are substantial plantings of hybrids marechal foch and seyval blanc, for example. But in northern Wisconsin the growers are dependent on cold climate grapes, most developed by University of Minnesota pioneer Elmer Swenson (1919-2004). How long will it take consumers to recognize grapes like La Crosse, st. pepin, sabrevois, marquette, st. croix, edelweiss, frontenac, and others? 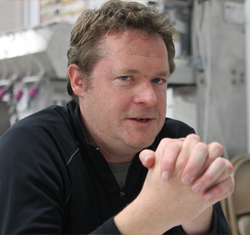 Wisconsin winemakers believe it’s a matter of tasting. The cold climate wines have something in common that challenges all of the winemakers. The grapes produce an overly acidic wine if not properly handled and aged. Coquard tells stories of offering wine enthusiasts a Wisconsin-made wine at out-of-state trade shows and watching them turn away. He then started to simply offer a taste and the wines were well received. Coquard, who came to the US after college in his native France, married Bob Wollersheim’s daughter after what was supposed to be a brief summer internship. 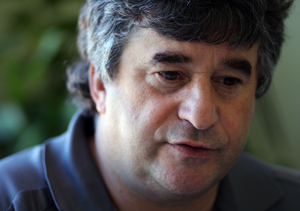 He had never heard of Wisconsin growing up in a winemaking family in Beaujolais. 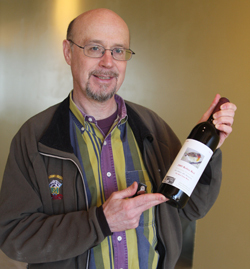 Nearly 30 years later, he is the face and voice of Wisconsin wine. Wollersheim’s Prairie Fume is a powerhouse when it comes to sales. It retails at $9-$12 and accounts for a third of Coquard’s 90,000-case production. The seyval blanc grapes, grown in New York, may be one of the most honored wines in the Midwest. The wine has taken numerous ‘Best of Show” white wine honors across the country. Coquard grows marechal foch which he uses in his Domain Reserve. It will stand up to any serious red wine at the $20 price point. It is full-bodied, dark-fruit flavored, and spicy. It gets a year in oak. Coquard takes local to another level by using a combination of French oak and American oak. In past years his oak has come from Minnesota, but he is now in the process of switching to Wisconsin oak barrels. He is certainly not the only one making quality wine. 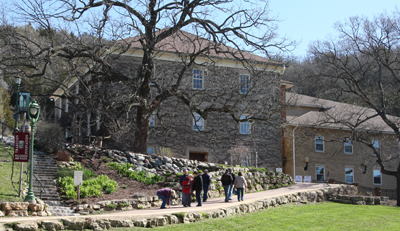 Abel makes a 100 percent Frontenac at Ledgestone that was the most intriguing and fascinating wines of a two-day visit. 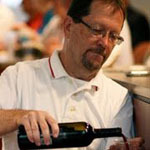 Other growers had jokingly warned not to let Tim pour the 2010 because it had been too acidic on previous visits. He poured a 2008 in the tasting room that was nothing short of amazing red wine. Two overwhelming characteristics were the tart cherry flavor and balanced acidity. The Frontenac retails at $28. Alwyn Fitzgerald has been a home winemaker since the 1970s but is jumping into the urban winery craze this summer. He is opening a winery and tasting room in Mt. Horeb, a bustling village just west of Madison. He researched numerous small towns but settled in Mt. Horeb because of the 60,000-70,000 tractable tourists annually and the 30-minute drive from Madison. “I’ve really bought into the buy local movement,” Fitzgerald said. “Potential customers are enthused. We have new hybrids coming along for the cold climate. The quality of wine you can make is improving each year. Fitzgerald’s Marquette wine was similar to a well-made Merlot with nice hints of spice. 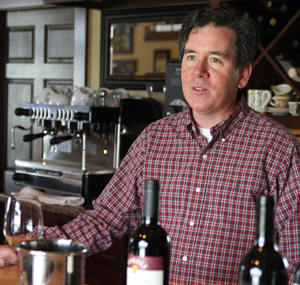 He plans to open his Fisher King Winery in July. The state’s growth is not much different than surrounding areas. Wisconsin had a handful of wineries through the 1970s and 80s. Growth started in the early 1990s and has exploded in recent years. Frontenac: Developed by the University of Minnesota. It’s a French-American hybrid producing a dry wine of deep garnet color and aroma of cherry and other red fruits. Frontenac can be used in blush wines as well as a fortified wine in the port style. Frontenac Gris: A mutation of the frontenac grape with muscat-like qualities. Frontenac gris produces a fruity wine with dominant peach and pineapple flavors. Can also be used to produce semi-sweet, dry, and dessert wines. Marechal Foch: Called the earliest maturing, cold climate red wine grape grown in the Midwest, a French variety. It’s a versatile grape, which can produce a light Beaujolais style wine. Older vines are capable of producing a dry red, oaked wine capable of aging. It is also used in fortified dessert wines. La Crescent: A cold climate grape known for its acidic structure. La crescent wines have crisp flavor with hints of apricot, citrus, and pineapple. It has a rich and lingering finish. St. Pepin: This grape makes a wine many would compare to Riesling. It produces a refreshing white with slight apple and floral aroma. It’s often used in blending. Some growers use it in ice wines. Edelweiss: This grape produces a wine similar to dry Riesling or a sweet table wine. It has aromas of honey, pear, and sweet peach. Marquette: This is the newest cold climate grape with more characteristics of a Vitis vinifera than other cold climate grapes. It has pinot noir in its ancestry. It has hints of black current, pepper, and plum making a medium-bodied table wine. Click here for more on these four wineries and their wine, click here to go to Hewitt’s blog. Excellent piece of reporting and writing. Thanks Howard for writing such an eye opening piece on the Wisconsin grape and wine industry. My family grows grapes in Wisconsin and we sell our grapes to a couple of wineries in the area. It has been a lot of fun watching the industry grow over the past few years, and I am most excited about the future of Wisconsin wines. Great to hear about different areas of the country when people continue to chase their passions and where they are using what they have to make incredible wines. I am in the majority, I have never thought of Wisconsin as a wine producer. Keep up the good work Phillippe !